For Buster I'm doing a circle whith which he can project lightning and medium impact electric charges on persons. Buster has two automail hands, which are not isolated. This can prove dangerous when messing with electricity, but he wants to use it in his favor. I thought about the physics. Lightning is produced when the clouds are charged with electricity. This happend due to the friction of the raindrops, where electrons are separated from their atoms. Lets say they leave the cloud, so now the cloud is positive. The ground can be charged too, but lets just say it's neutral. This way it still has more electrons than the cloud. Now, we have voltage between them. The bigger the difference gets, the voltage goes up. Or the tension, as it is litterally called in german. When it gets big enough, an electric discharge will happen between the cloud and the ground. The electrons of the ground (not all of them though) will shoot up towards the cloud with a flash of light that we call lightning. The light is the energy that is set free. The thunder is the noise made when the lightning surpasses the sound barrier. Because of the huge distance between a cloud and the ground, a lot of charge difference/voltage/potential energy (many words, one concept) is needed in order for a lightning to happen. This great amount of energy explains why lightning is so hot, it can reach 30 000 Kelvin. There is also lightning between clouds with different charges. Now to the needed functions of the transmutation circle: I'll need an extra protection unit to make sure that it won't get out of control. 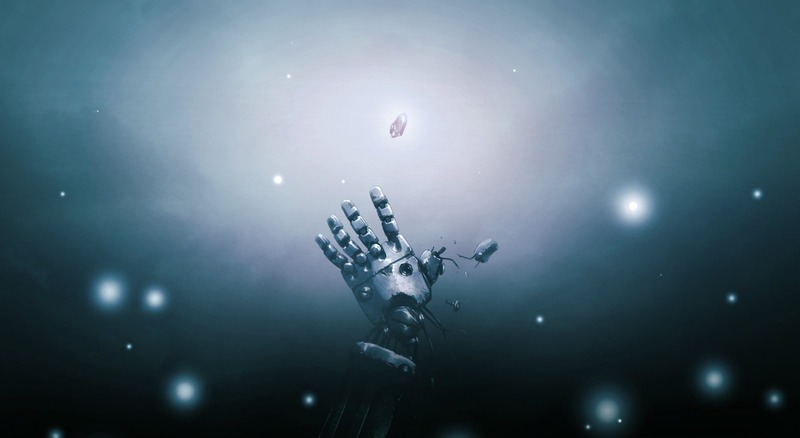 I'll need to make sure that the nervous system of the emissor is not harmed and that the electrons are transferred to the target and not to a random object or person nearby. What else... Well I have to show that the electrons of the whole body are transferred. Next: the runes. What symbols do I use for the stuff I need and how do I arrange them? Fist the nervous system. 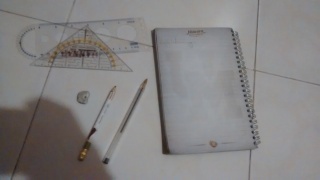 I'll take a look at my sketchbook where all elements are listed with their symbold and symbolical meanings. Mmh.. Within those who represent parts of the human body there is none for the nervous system, but Gold stands for the heart and spinal cord. The spinal cord is the main axe of the nervous system and the heart also works with electrical impulses, so these are the ones I want to protect anyways. Gold will be just fine for protection. For the targetting, Buster can do it like mustang.. Using sheer willpower ^^ I'm still going to add an arrow though, I guess. Now the electrons. 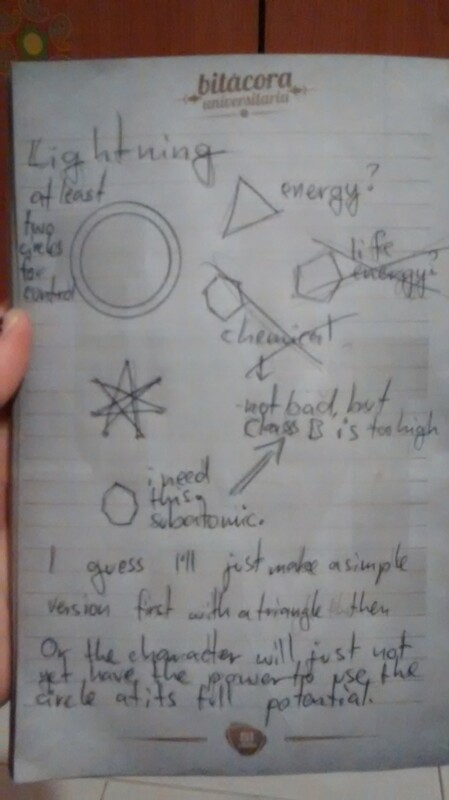 I need an electron symbol, which turns out to be a little hard to find. I could use a Hydrogen symbol, because hydrogen has only one elecron, but all hydrogen symbols look like gold symbols. 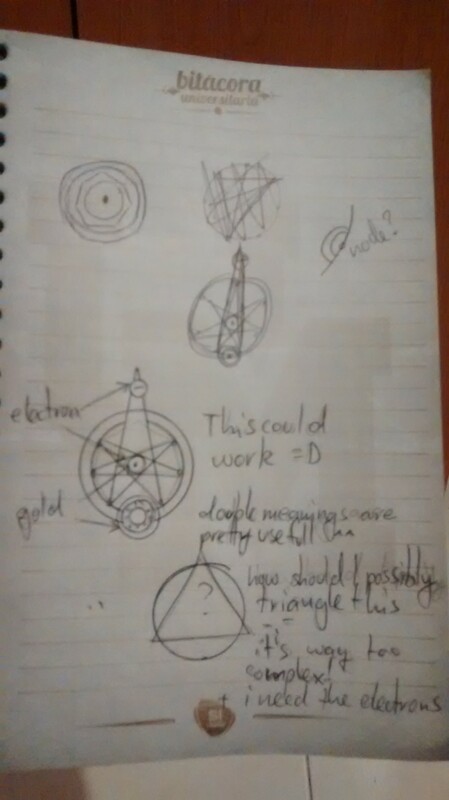 Or I could find a symbol for an electron specifically, which is even harder because in alchemy times electron were not yet discovered. I could just use an e though, like the one used in physics or for a more graphical symbol put a circle with a minus. I've looked through my tables and no element has a symbol like that.